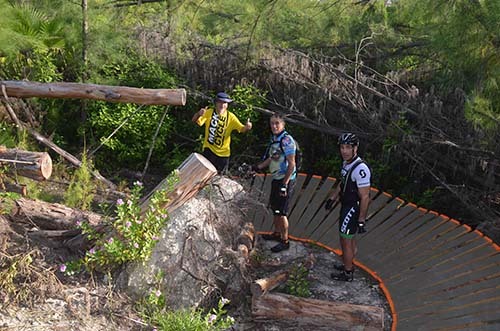 Riders entering one of the trails. 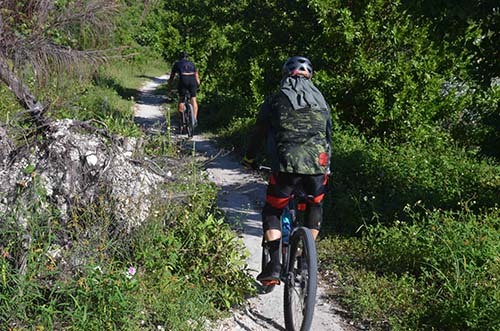 On Saturday, September 22, the Key Biscayne mountain bike trails just got more challenging with the opening of a new Red Diamond trail. 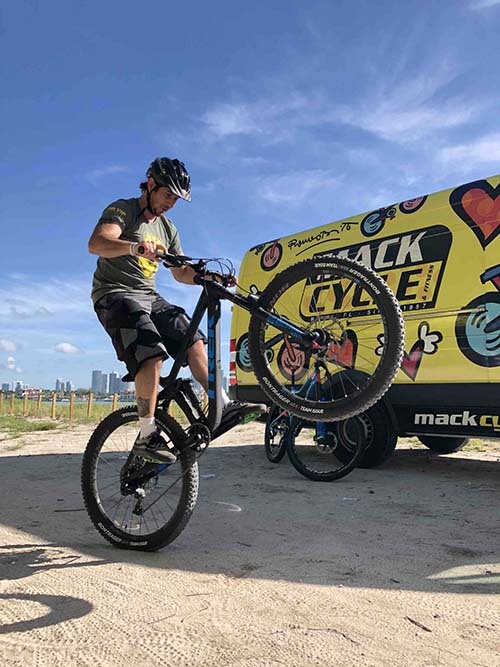 The Virginia Key Mountain Bike Club volunteers have been intensely busy over the last year in recovery mode from the devastation Hurricane Irma laid down on the key and one year later opened yet another revamped trail at an event hosted by Mack Cycle & Fitness. On hand for the trail opening were two top pros: Katie Holden and Jeff Lenosky. Katie is one of the few females that can successfully land a backflip and throw down some of the big mountain lines with the guys. Lenosky is an American world class professional Freeride and Trials Mountain Bicycle Rider. 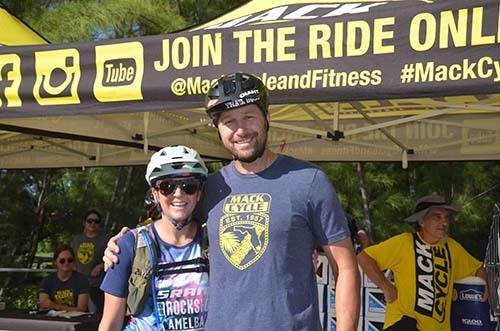 Both pros lent their talent and skill to other mountain bicyclists with clinics and ride-alongs that afternoon. 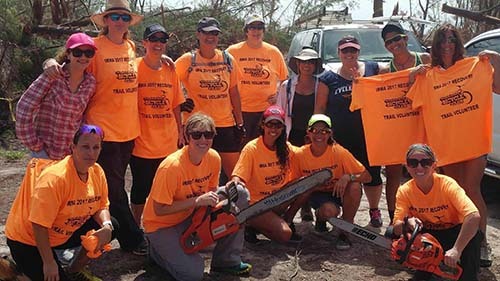 Over the past seven years volunteers from the Key Biscayne Mountain Bike Club and engineered and overseen by Bernard “Frenchy” Riviere, more trails were built. 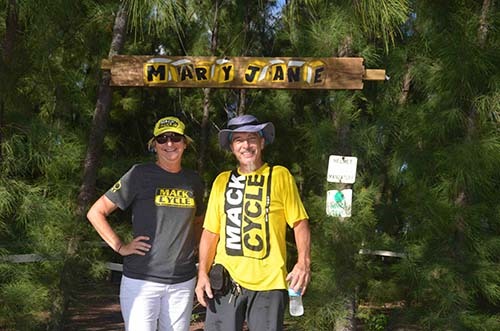 Frenchy has been building trails since 1993, starting at Oleta River. 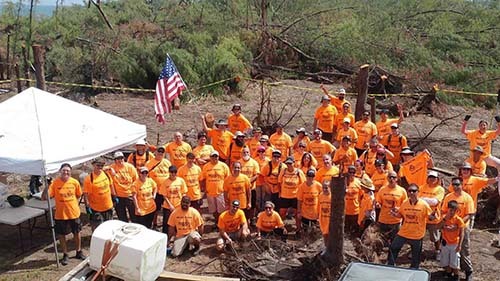 Since before the beginning back in 2010 til present, Frenchy reports that 30,000 volunteer hours have gone into building the trails. For the construction of the new trail, Frenchy notes that about $7000 was spent on lumber, $1500 in dirt pavers and some $1000 in deck screws, the latter he noted was to provide extra safety for the riders. 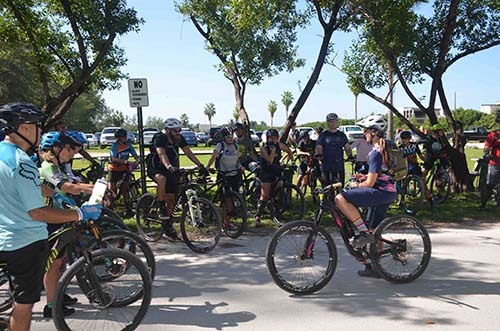 The Virginia Key Bike Club received a $21,000 Miami Foundation grant, and a generous $10,000 gift from Oppenheim Associates. 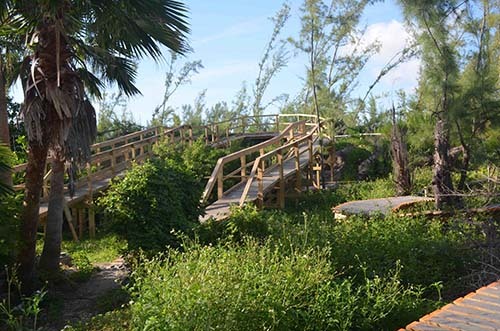 The trail is accessible through the entrance to Virginia Key (across from the Miami Sea Aquarium), residents can follow trail signs that will take them to the northern end of Virginia Key. The trails are ideal for mountain bikes but not suited for road bikes. Bicycle helmets (“Lids”) are mandatory.